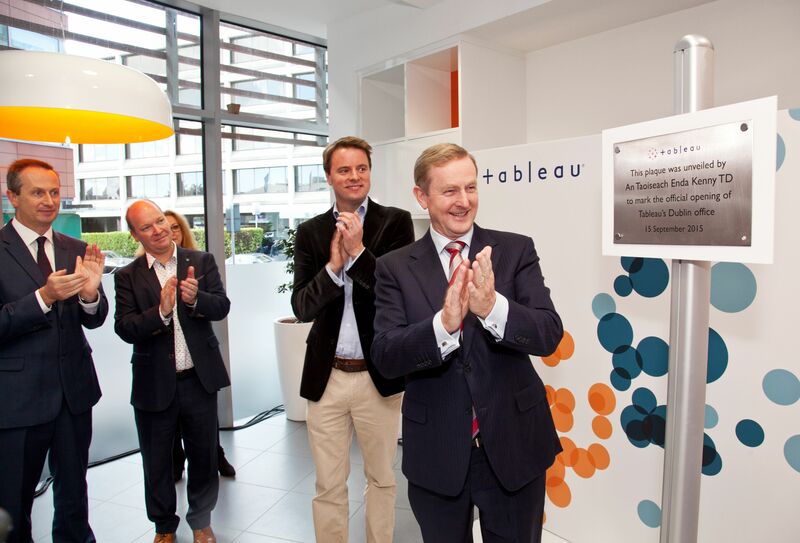 Irish Prime Minister Enda Kenny TD, right, unveils a plaque at Tableau's new Dublin office. The Irish have a common greeting: “Céad míle fáilte,” which means “100,000 welcomes.” And we felt the warmth of as many welcomes when we opened our Dublin office this week. 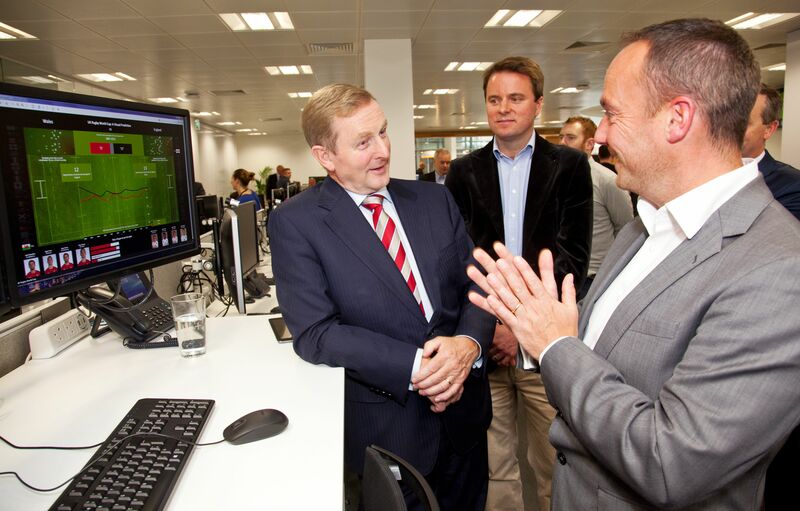 An Taoiseach (“chief” in Gaelic) Enda Kenny TD joined us in our new space to mark the occasion. He unveiled a commemorative plaque and delivered a speech to an audience of guests and media. “I'm delighted that Tableau has had the confidence in Ireland to expand its footprint in Dublin, and to grow its workforce to over 120 people,” the prime minister said. Tableau’s own Eugene Hillery, director of International Operations, followed the prime minister’s speech with a touch of humor. “We hope to bring Tableau into the hands of everyone, from small to big business, to students and professors, and why not into the hands government, including the Taoiseach himself!” Eugene said. During his visit, the prime minister took the time to meet some Tableau team members and even explore a visualization on the Rugby World Cup. The prime minister chats with a Tableau team member. Thank you, prime minister and Dublin, for an unforgettable event! We look forward to connecting with fellow data lovers in Ireland.